How much insidery Los Angeles knowledge is too much insidery Los Angeles knowledge? We’re not going to answer that. Instead, we’ll just direct you to the new digital travel show LAblocks, an online series that tours Los Angeles one intersection at a time. 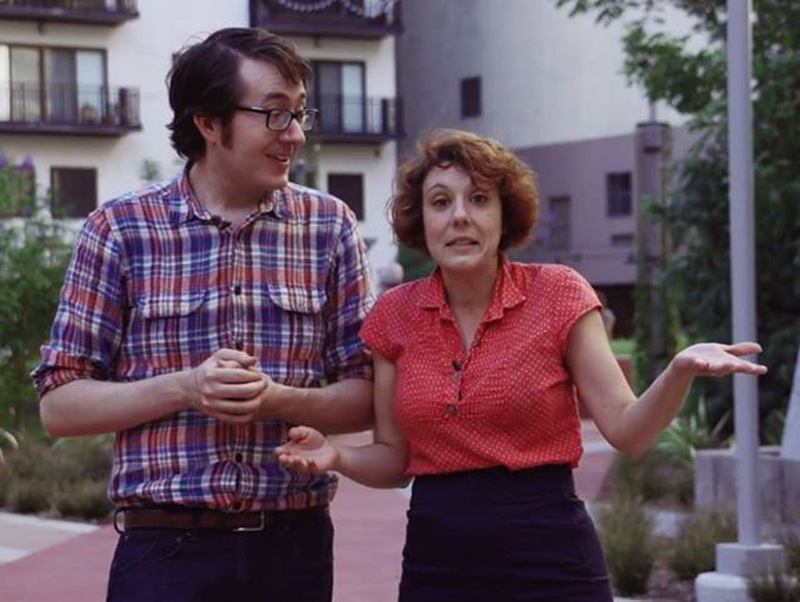 Hosts Stephanie Carrie and Robert Boesel bring quirky vivacity to each episode as they examine the history and happenings of some of the city’s most fascinating cross streets. It’s like a hokier, less contemplative Tom Explores Los Angeles with an emphasis on getting out and having a good time. In the five-minute format, Carrie and Boesel explain an intersection’s backstory and modern day (curb?) appeal. They’ve explored downtown and Venice so far, and episodes on street corners in Compton, Koreatown, and Boyle Heights are in the works. They’re also eager to hear input as to your favorite L.A. intersections. LAblocks is super responsive on social media, so if you have a suggestion, they’ll listen (and if you ask them for good brunch spots, they’ll dish out a whole slew of recommendations, too). So far, the series is only two episodes deep, with coverage of 5th & Spring downtown and Pacific & Windward in Venice Beach. Get in on the ground floor and give it a whirl.